Perhaps it is considered as the Machalilla National Park landscapes more enjoyable site, here you can enjoy a warm bath, walk a trail self guided 4 km or simply relax enjoying the softness of its white sand. He is holder of a spectacular view of the surroundings from a lookout point located in the highest part of the sector. Location: It is located to the South of the town of Machalilla and 12 Km North of Puerto Lopez. 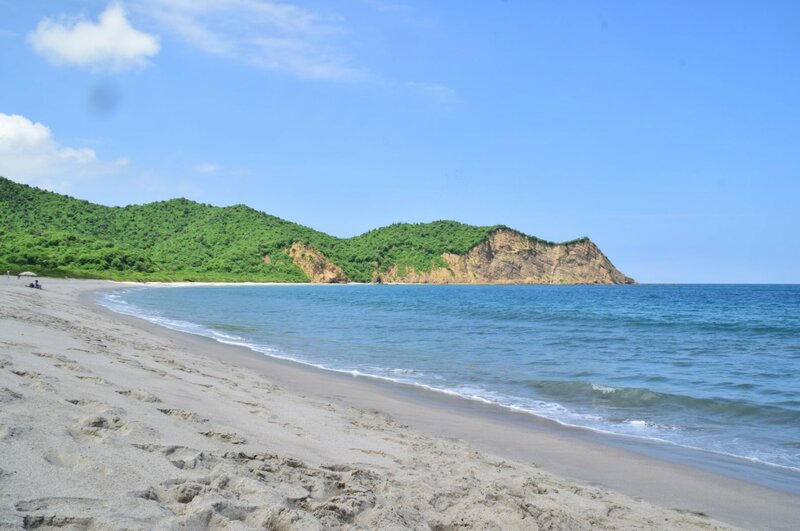 Extension: It has an area of approximately 3 kilometers from Punta Cabuya to Punta Los Frailes. Climate: Its average temperature is 27 degrees Celsius. Fauna: In the surroundings you can find dolphins, pelicans, hawks, egrets, gulls, snails, crabs, camotillos, among others. Flora: As plants of the place we have: creeping, manzanillo, muyuyo, rosewood, barbasco, cactus, papaya, chapuca, pechiche marine, arrayan or realito, purslane marina, tuna, among others. • Black Beach, a small Bay which takes its name from the colour of the sand. • Beach "The turtle", its waters are transparent, have a light green colour. 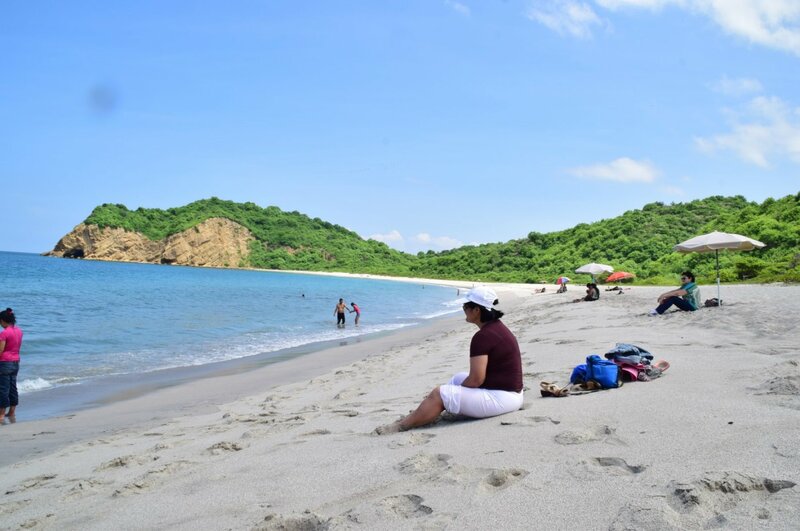 It has a great scenic beauty, is located in the Playa Los Frailes. It is a very small Cove, regarded by many as the most beautiful in the province of Manabi. The contrast between the calm of its waters and the vegetation that surrounds it make Turtle Beach a small paradise. Extension: It has an area of 800 meters long approximately. Climate: It has an average temperature of 27 degrees Celsius, which remains controlled by the breeze marina with a low level of rainfall. 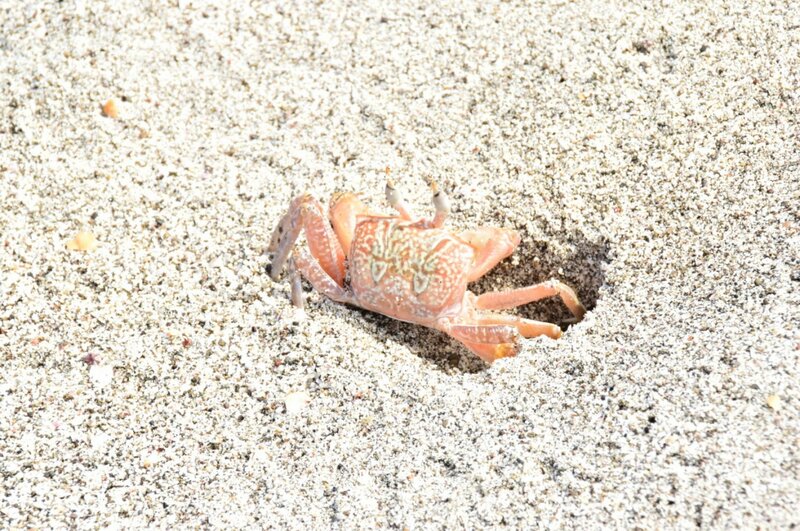 Biodiversity: The Turtle Beach stands out for the beauty of its waters and the variety of the extant fauna species among which we can mention: chapuca, dark pechiche, muyuyo, arrayan or realito, manzanillo, purslane marina, tuna, among others. Activities: It has a privileged location, in the middle of a lush natural beauty with fascinating species of fish and coral ideal for diving and snorkeling. Comunidad Agua Blanca - Comunidad Ancestral, it is located in the Machalilla National Park, near the town of Puerto López, Manab"iacute; province; We are about various magnificent undiscovered attractions. If you want to know this or other places that are on our about, write to us in the form below and we immediately call us..!